It has been busy for me this last month. I have had a few freelance gigs open up and keep me busy and on Friday before leaving my day job I got a message from the owner of ION VR, Dan Thurber. We went to elementary all the way up to high school together and then lost touch. He contacted me once I was posting my sculpting work on Facebook and we connected professionally. In March, earlier this year I did some concept art for him. 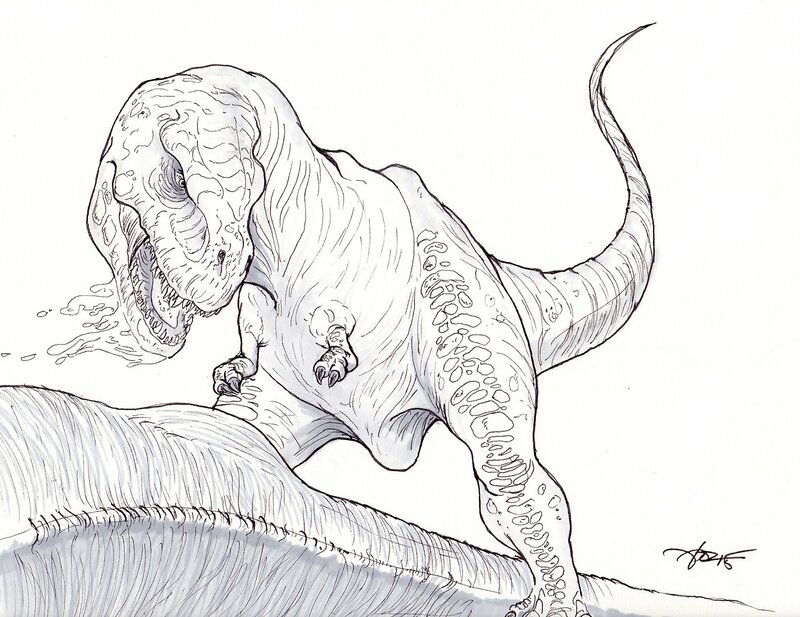 He contacted me because his son wanted a T-Rex drawing, and I was happy to oblige. When it comes to dinosaurs, I do not know anybody who does not think they are cool. I had a lot of fun drawing this commission for him. It gets my mind reeling and moving whenever I think of these amazing creatures that once roamed our Earth. I think this has great potential to be sculpture.